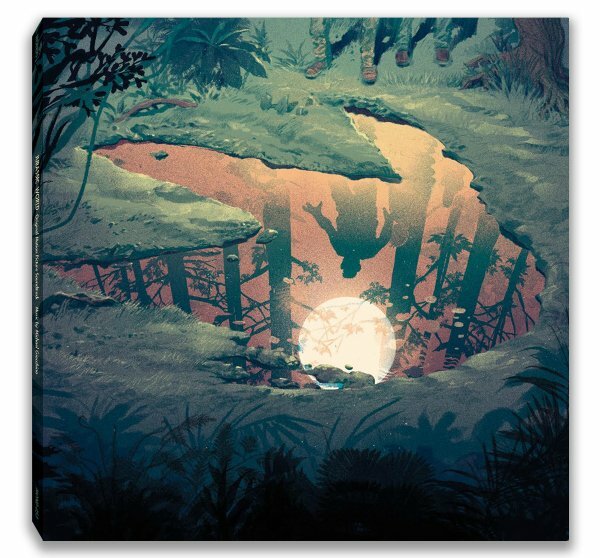 Mondo has a beautiful history with the music of the Jurassic Park franchise. Around this time last year, the company made waves with an exquisite vinyl press of the iconic original soundtrack to Steven Spielberg’s masterpiece. 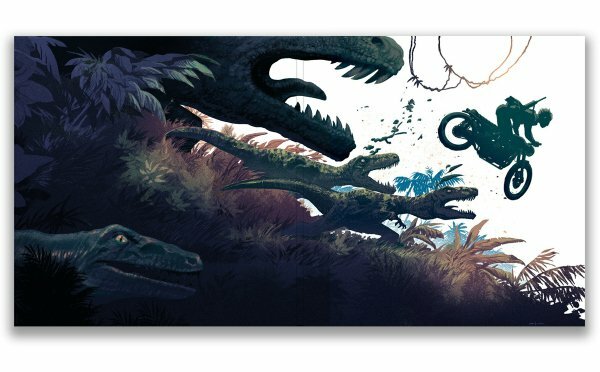 And now that Jurassic World is dominating the box-office charts, Mondo is at it again… and they are sharing the artwork for the recording with CinemaBlend, exclusively. 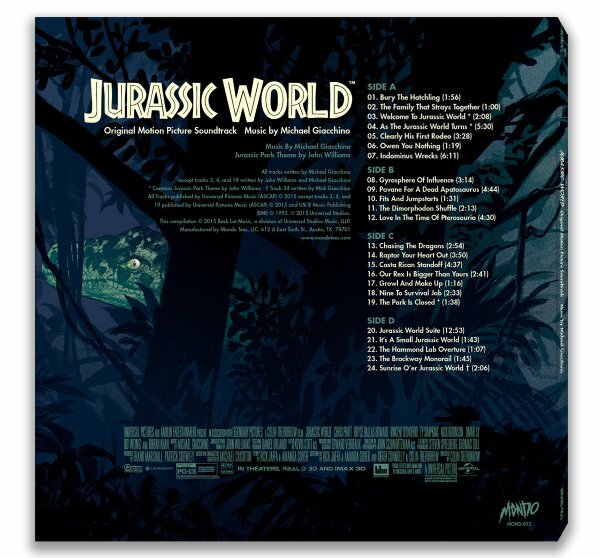 Mondo just announced a first vinyl pressing of the soundtrack to Colin Trevorrow’s Jurassic World, composed by the incredibly talented and prolific Michael Giacchino. We recently reported how the success of Jurassic World helped John Williams’ original score to climb back up the music charts nearly 22 years after release. So it’s obvious that the music of the Jurassic series has almost as much of an impact as the special effects, performances and film craft have on the finished product. This album pre-order ships in September 2015. The pre-order process begins on Friday, June 26, on mondotees.com.